There are a lot of companies out there that don’t have a social media presence. To them, a website is more than enough. This may be because of an old misconception that still lingers amongst some people – that social media is for younger people and that it’s used as a platform to keep in touch or complain about the world. However, the truth is that social media is actually an incredible marketing tool, and it should be one of the focal points of any online marketing strategy. Feedback – By having a social media profile, whether it’s on Facebook, Twitter or any number of different social networks, companies have the ability to receive direct feedback from their followers. This kind of feedback can actually be quite helpful in improving customer service, products and more. Companies can even ask followers questions regarding certain aspects of their business in order to get feedback from followers. Quality customer service – Companies that manage their social media on a daily basis will be able to answer questions and address complaints that are posted by customers and followers. This means that social media is basically another channel for providing customer service. By addressing complaints on social media, a company can foster an excellent reputation for the quality of their customer service since the exchange can be public for all to see. Buyer nurturing – Social media is a great way to nurture buyers. This is because a company can build a relationship with its followers by engaging with them directly by asking questions, providing solutions to problems, posting helpful content and more. This type of regular and helpful engagement helps build trust and loyalty, two important components in nurturing leads. 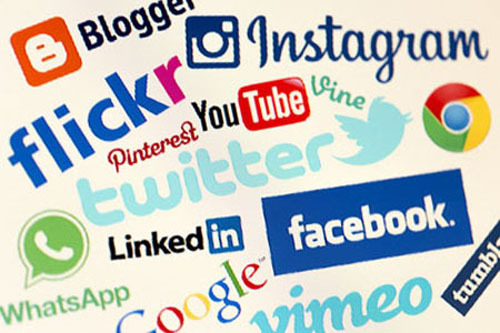 Increased brand exposure – Followers on Facebook, Twitter and other sites can share content that companies post on social media, thereby helping expose that content to additional social circles that the company is not a part of yet. These means the content can reach more people, thereby attracting more potential leads. Identifying the company’s goals – The first step to crafting an effective social media marketing strategy is to figure out what goals the company wants to achieve through the use of social media, whether it’s build brand awareness, generate more leads or retain customers to name a few. Remember, a strategy is not a strategy unless there’s a goal to work towards. Setting objectives – Once the goals have been established, we will help create objectives that are specific, achievable, measurable and time-bound. Objectives are needed in order to judge whether or not goals have been reached. Identifying the target audience – It’s a mistake to try and market towards everyone. Companies that do this are effectively marketing towards no one. We will do the necessary research in order to create a buyer persona so that we know who we are targeting in our marketing efforts. Researching the competition – One of the best ways to find out what tactics will work for a specific business is to research the competition. This way, companies don’t have to worry about trial and error – a strategy that failed miserably for a competitor probably won’t work for a similar business. We will keep an eye on the competition and analyze their strategies to benefit ours. Picking the right channels and tactics – Using the data we have and the research that we will do, we’ll figure out what social media channels each company should use and what tactics they should implement. There are hundreds of different social media platforms out there, some of which suit specific businesses better than others. Develop a content strategy – We will figure out the type of content best suited for each social platform a company is using, the best time for posting that content and how frequent new content should be posted in order to be most effective. Don’t ignore social media marketing – it should be one of the focal points of any online marketing strategy. For more information about our social media marketing services, be sure to contact us at Britewave Digital today.